FILM ROLL: DO YOU BELIEVE IN MAGIC? Silly question huh? When I hear those words, 'Do you believe in Magic,' The Lovin' Spoonful song pops into my head, along with some fond memories from the Parent Trap and the duplicate Lindsey Lohan's practicing their secret handshake at summer camp. Classic. But all jokes aside, it really made me think about magic, or rather what in means to believe in anything which is not otherwise explainable or concrete. What does it mean to believe? 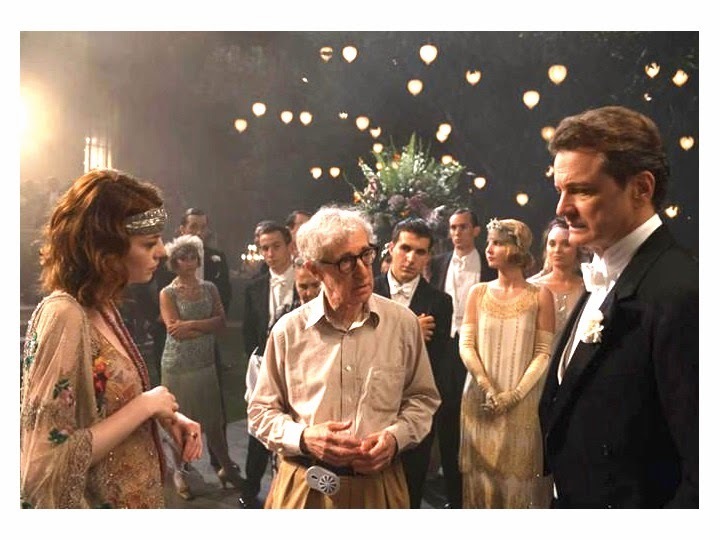 The dialogue borders on theological lines, but very slightly, remember this is Woody Allen. And his approach is always witty, comical and downright hilariously pessimistic. I loved every second. 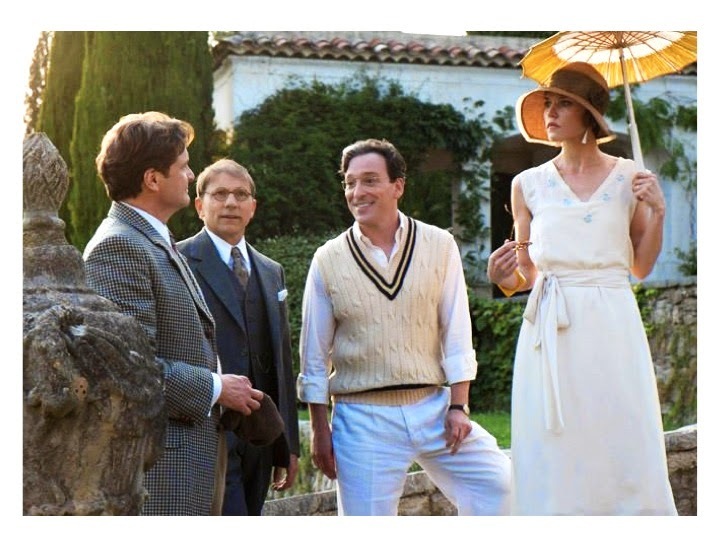 In his new, wonderfully charming, whimsical film, I just adored the scenic views of the South of France, the unobtrusive 1920's fashion, and the fresh faced bluntness of Emma Stone as a young, free-spirited, American girl. 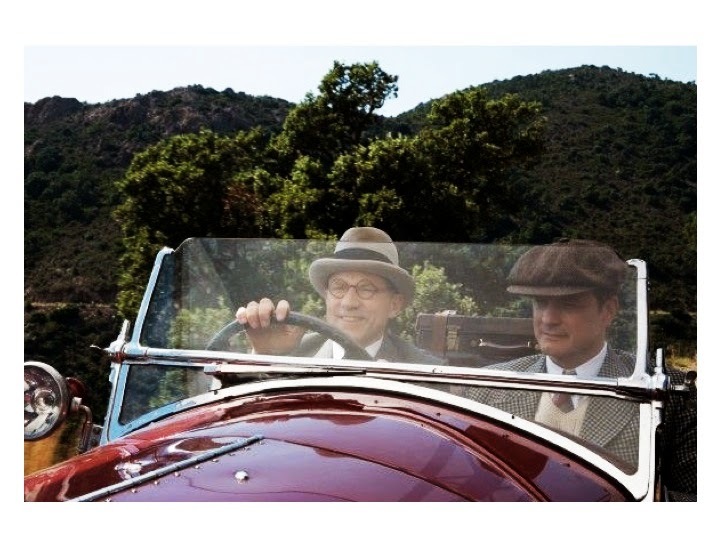 Colin Firth simply played a younger, more entitled, stubborn, and British version of Woody Allen, ranting and raving about how non-sensical the world is. I have mixed feelings about the pairing, but I did quite enjoy the childlike banter between the two. 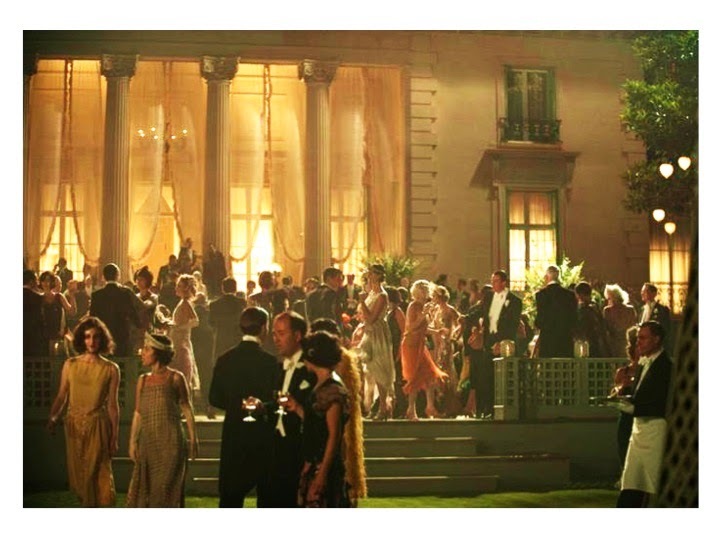 Although I adore most representations of the 1920s era, Gatsby hello, this one tops the list. The set/costume designers really made it seamlessly believable, perhaps because of the countryside setting and great attention to detail with the clothing and decor. Both the above and below pictured shots were so beautifully executed; what do I have to do to get invited to this party? (pictured below). Better yet, what do I have to do to get this car?! It's the bee's knees! Or "...call it magic,"